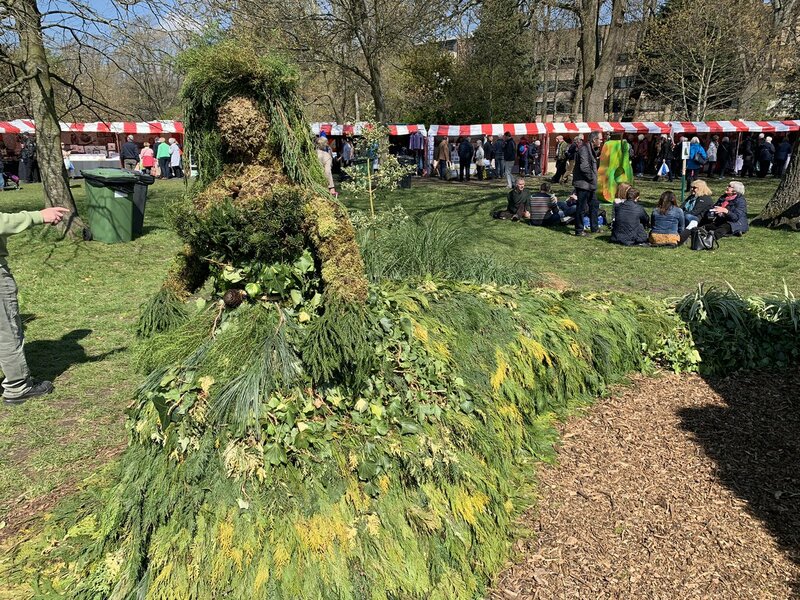 Horticulture students bring the legend of The Green Lady of Caerphilly Castle to life at the RHS Show. 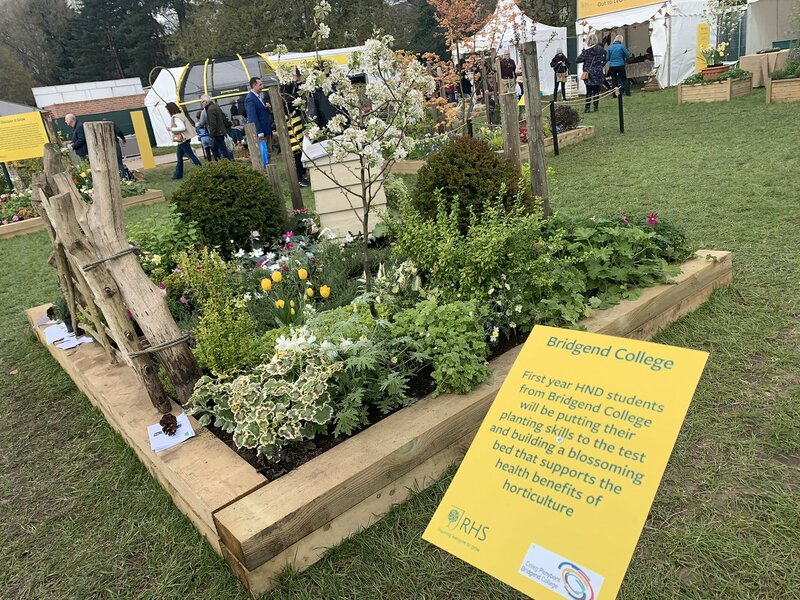 The RHS Show is one of the biggest events in the horticultural calendar and once again, Bridgend College showcased the incredible talents of its horticulture department. This year’s display was based on the Green Lady of Caerphilly Castle. 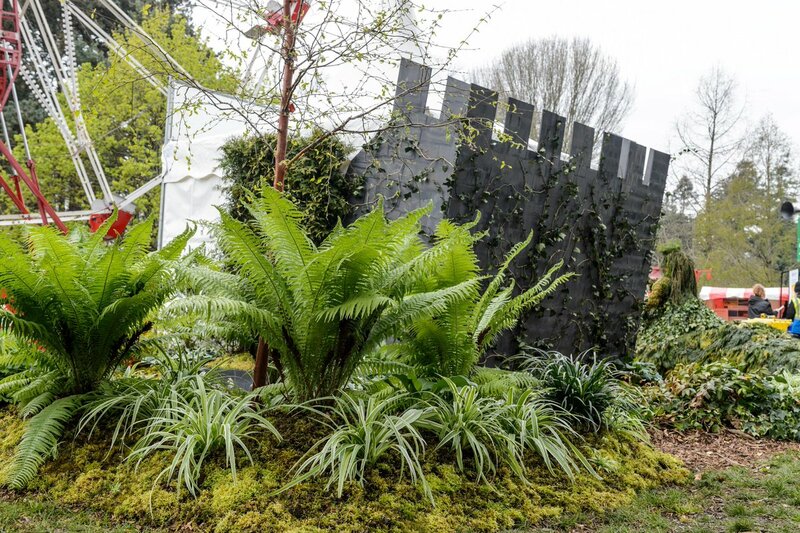 Known as a ghostly figure to those familiar with the legend, the Green Lady featured at the RHS Show this year was a fantastic display of foliage, complete with a leaning tower reminiscent of the 13th century caste itself. Princess Alice of Angouleme once resided at Caerphilly castle and upon learning of her lover’s execution, dropped dead with the shock and has allegedly haunted the castle ever since. Her elaborate dress, green to represent her husband’s envy, was tastefully displayed at the Show with ferns, hostas, moss and boughs of evergreens. Her flowing gown extended three quarters of the way around the shadows of the leaning tower, adding to her spooky reputation. Designed by second year HND Horticulture, Garden and Landscape Design students at the College, the display was started from scratch, from plant production to the construction of the feature at the Show. The Green Lady was certainly an attraction, with many visitors commending the effort and collaboration of the students to create such a legendary feature. The construction of the Green Lady at the Show took a total of two weeks, from the initial transportation of base materials to the full installation and maintenance on the day. The College have since been approached by Cadw, the historic environment service of the Welsh Government, to potentially display the feature at Caerphilly Castle in the near future. HND Year 1 students also put their planting skills to the test to create a blossoming bed that supports the health benefits of horticulture and the environment. They were awarded a silver award at the Show for their efforts. Bridgend College would like to congratulate all involved and look forward to seeing what next year will bring at the RHS Show. To view our courses available, including full and part time horticulture courses, visit bridgend.ac.uk/our-courses.